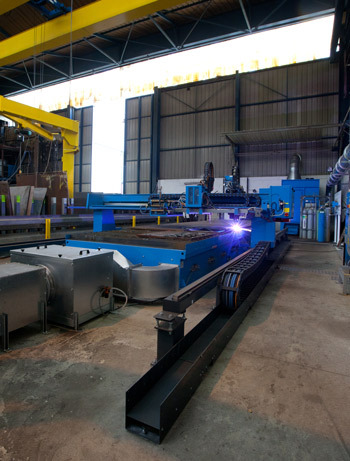 To meet the needs of our clients we have at our disposal a 3200m² production site equipped with high-performance machines. The assembly of parts is carried out by qualified and trained for this purpose staff in several steps to better fulfill our client’s requirements. Always concerned by environment protection, CMO invested in 2009 in its painting and sandblasting workshop installations. 11 x 4,5 x 4m short-blasting booth : closed circuit functioning. Dust and residues are collected in hermetical tanks and treated by a dedicated centre.